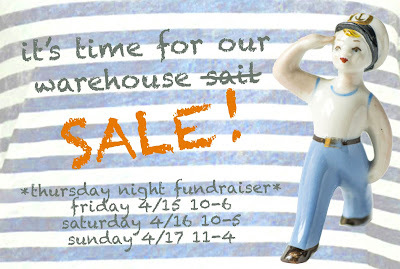 Simple Pleasures: Warehouse S A L E ! Warehouse S A L E ! our semi-annual semi-famous off-site super sale ! *be the first shoppers ! and offers them continued support en route to a degree. so we thought we'd join them together ! tax deductible donation to College Visions. Do some good while you shop !